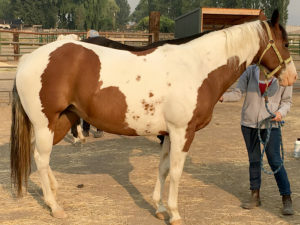 SUGAR A quiet but friendly tobiano thoroughbred/quarter horse cross mare. 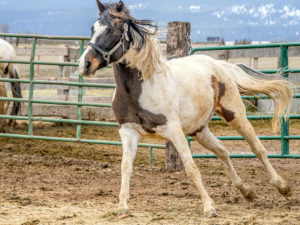 Sugar is an eager, fast learner with lots of “try.” She has good ground manners and enjoys being brushed and pampered. 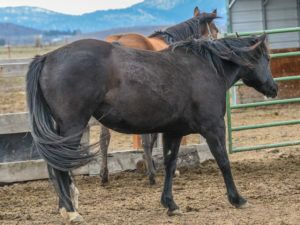 IRIS is an approximately nine year old Quarter Horse mare who has been at the shelter for over a year. Her owner was cited for animal neglect, and Iris will not be available for adoption until completion of court proceedings. HAPPY is a teenaged mini-mule. 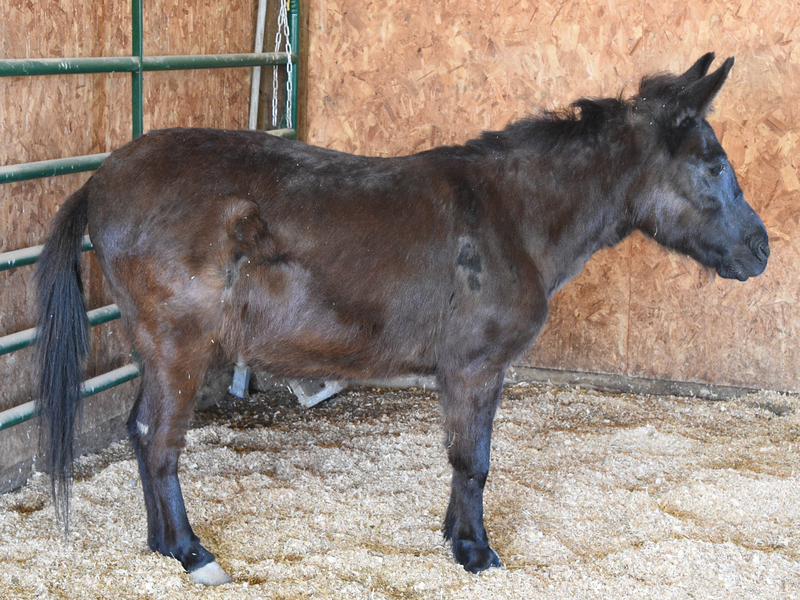 She was seized by the Klamath County Sheriffs Department and her owner was cited for animal neglect. She has had two surgeries so far in an effort to ease pain and repair damage. Her recovery looks to be a long road. She is super sweet and smart! 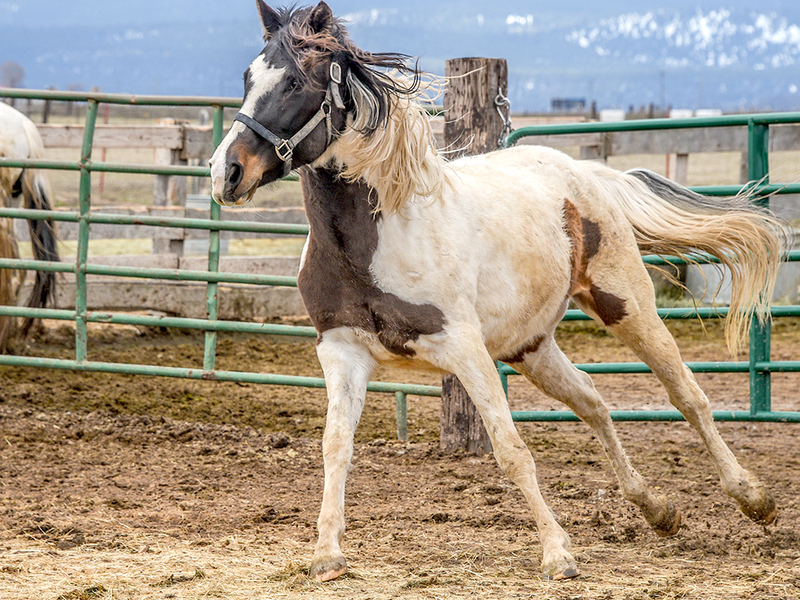 HOLLYHOCK is an approximately nine year old Quarter Horse mare. She has been at the shelter for over a year. Her owner was cited for neglect. She will not be available for adoption until completion of court proceedings. 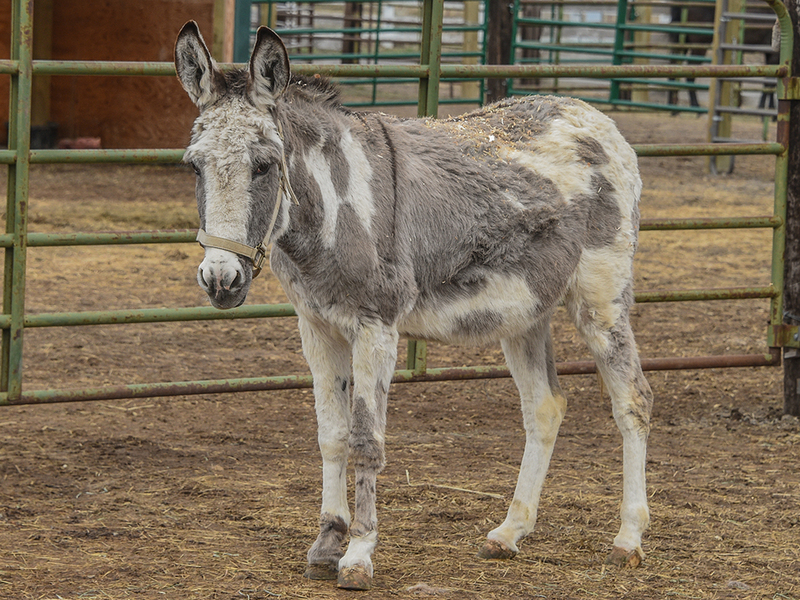 HOLLY is a teenaged spotted donkey. 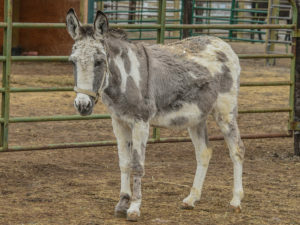 She has been at the shelter since January when the Klamath County Sheriffs Department seized her and cited her owner for neglect. She has since had two surgeries and is regaining her health. She is VERY shy and sweet.